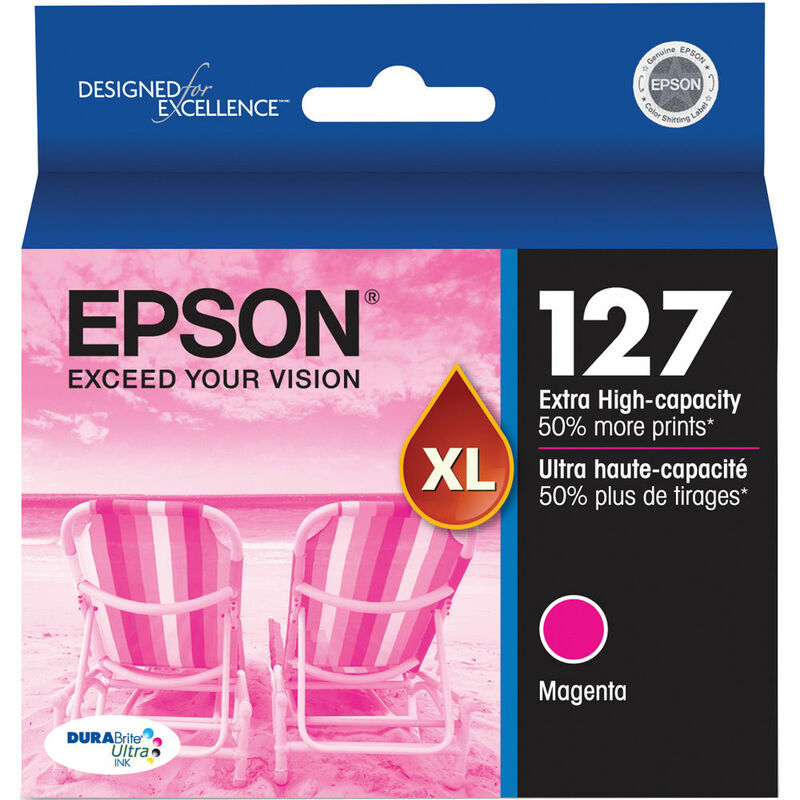 The T127320 127 Extra High-Capacity Magenta Ink Cartridge from Epson is characterized by a quick dry formula that makes handling prints much easier. Use it for traditional document and photo printing on glossy papers. Box Dimensions (LxWxH) 4.5 x 4.35 x 0.85"
T127320 127 Extra High-Capacity Magenta Ink Cartridge is rated 5.0 out of 5 by 1. Rated 5 out of 5 by Dr. Mike from Genuine Epson, Good Price Like a prior ink review, it's a bit daunting to find anything valuable to review. I've been using Epson printers and inks for years (decades?) both for office and general printing (which is what this ink is for) and also photo printers. It's nice that it's a high(er) capacity than prior inks, and whether or not it's superstitious, I do believe in Epson's strong cautions to use only genuine Epson Ink, in terms of both warrantee and consistency. I really appreciate how B&H carries a huge line of cartridges, both in the store (where I bought this) and via fast delivery, which I've taken to using to keep stocked up on printer inks whenever I'm ordering something else, photo-related. Easy!